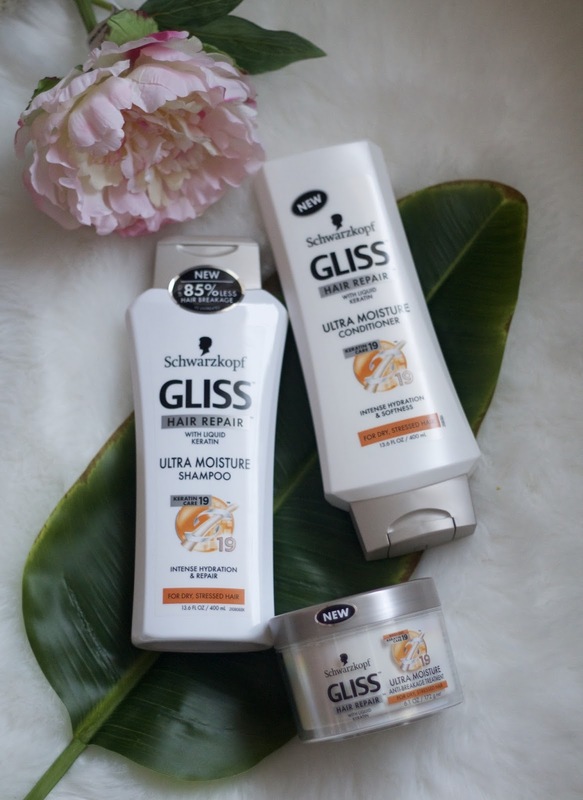 Has your hair been suffering in the dryness of winter? My hair already tends to be dry so the winter is especially harsh on it often causing breakage and split ends. When I don't care for my hair properly and use high quality products, it isn't as soft either. 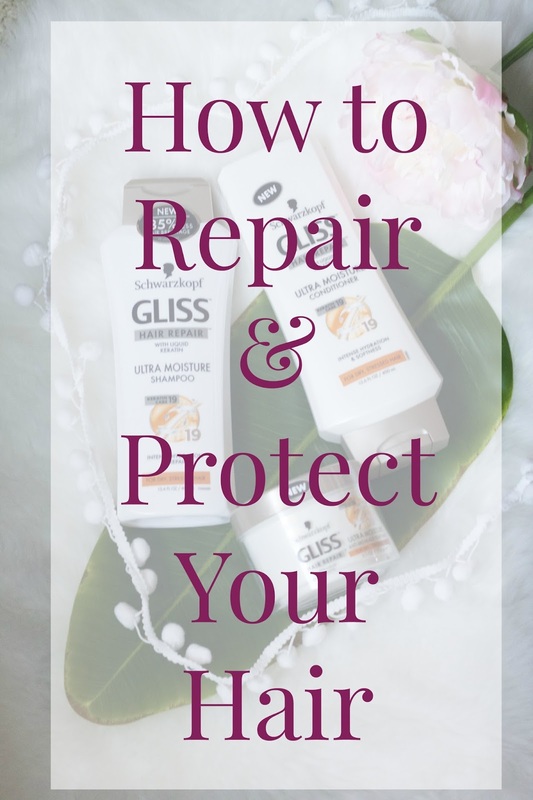 I've had long hair for years and have learned some great tips on how to repair dry, damaged hair and protect it from future damage so I can keep the length and improve my hair health so it looks and feels its best! 1. Don't wash your hair as often. This is especially important with longer hair. It takes time for the natural oils from our scalp to make their way down the hair strand to help moisturize it. If you wash your hair everyday, you are stripping the hair and drying it out. Over time I have been able to train my hair so I only wash it twice, three times a week at most. That also means I am only using styling tools like my hair dryer or straightener a couple times a week which also helps to decrease future damage. 2. Turn down the water temperature. Washing and rinsing your hair in extremely hot water can damage it. I know I love hot showers. They feel so relaxing in the wintertime, but my hair does not like them! Try turning down the water temperature when it is time to rinse the shampoo and conditioner out of your hair to help prevent dryness, breakage, and split ends. 3. Careful when you brush. Did you know that brushing your hair, especially when wet can cause damage? I use a brush especially for wet hair after I wash my hair. And I also use a good quality brush made from boar bristles and brush gently. Brushing too much or brushing the wrong way can damage hair. This is called mechanical damage. So be extra gentle when brushing your hair and make sure you invest in good quality brushes to help protect your hair and decrease the damage! 4. Switch to a silk pillowcase. Using a silk pillowcase is much nicer on hair. It can help reduce frizz, keep your hair smooth, and stop your hair from forming creases so that means less styling with heat tools in the morning! 5. Use high quality hair products when washing your hair. Did you know hair loses Keratin over time? 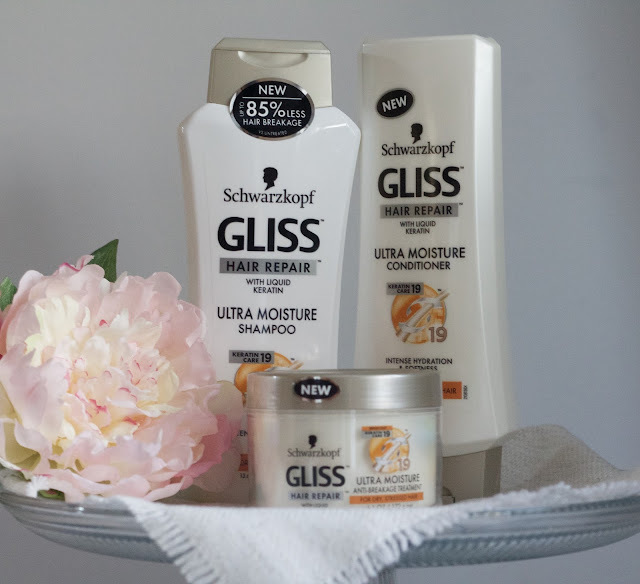 To help repair and protect your hair, you should choose hair products that help replace lost Keratin like Schwarzkopf Gliss™ Ultra Moisture Shampoo, Schwarzkopf Gliss™ Ultra Moisture Conditioner, and Schwarzkopf Gliss™ Ultra Moisture Anti-Breakage Treatment. 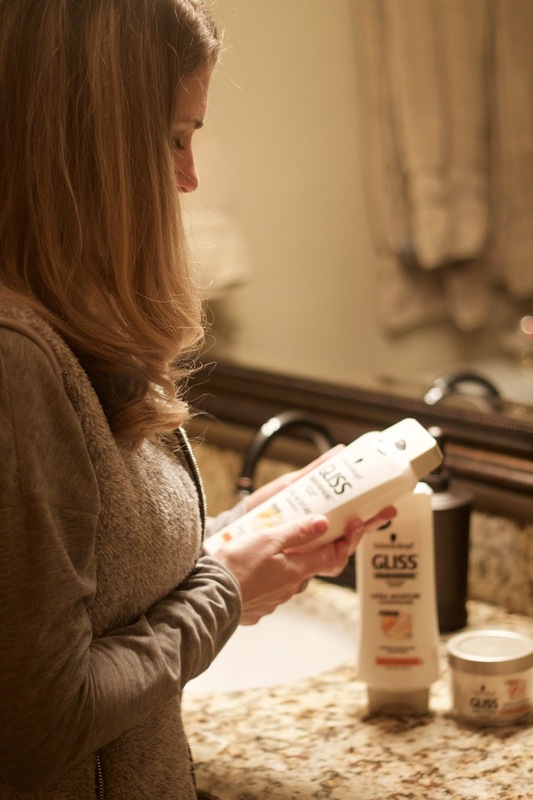 GLISS® Hair Repair™ has the exclusive Liquid Keratin Repair patented technology to repair your hair, even when you don't know it is damaged! It can repair hair up to 10 layers deep, replacing lost Keratin with Hair-Identical Keratin to help your hair re-gain strength and for a smoother hair surface providing you with measurable results. Make sure you use Ultra Moisture Shampoo, Conditioner, and Anti-Breakage Treatment regularly to help continue to repair hair and protect it against future damage! 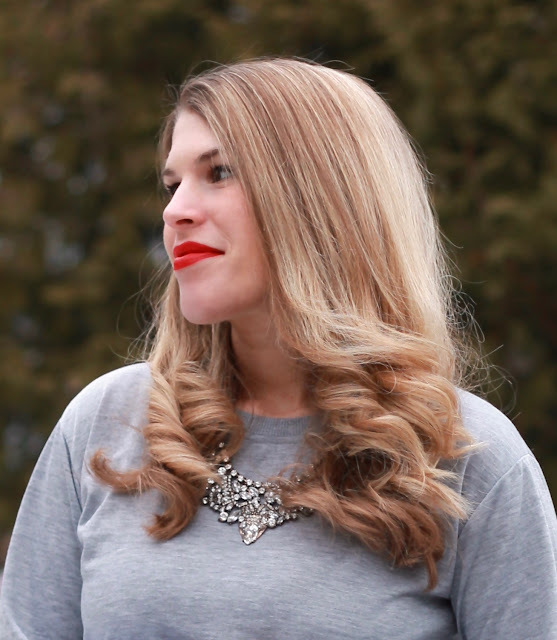 These products have really helped repair my hair and make it much smoother this winter. I was shocked at how much smoother my hair was after using the Ultra Moisture Anti-Breakage Treatment for the first time! 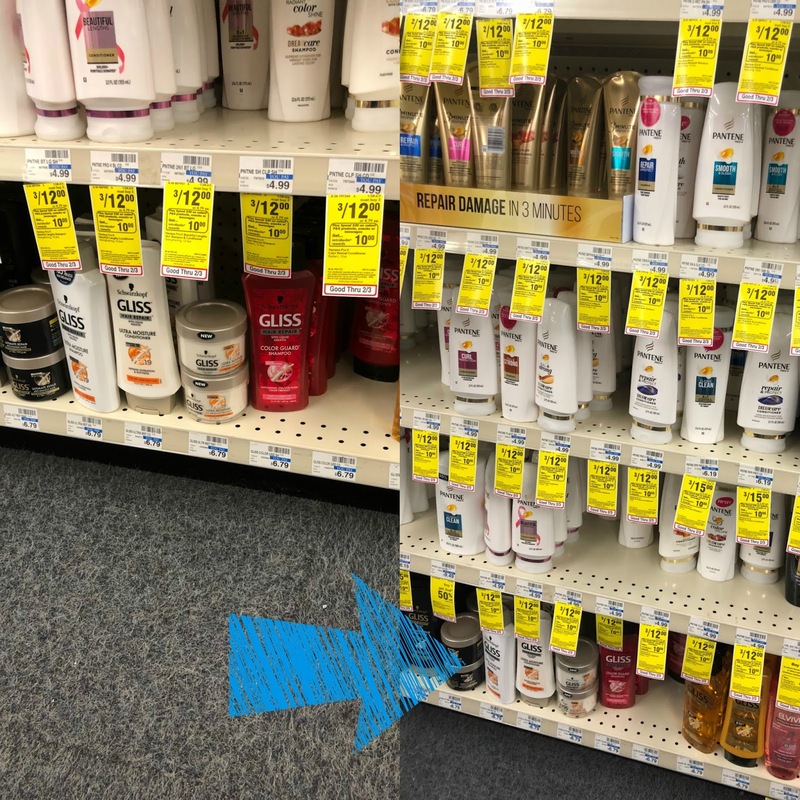 I found this line of products at my local CVS in the Shampoo & Conditioner aisle near other GLISS® Hair Repair™lines. Currently there is a Henkel Enterprise Event running from Sunday 2/11 through Saturday 2/17 at CVS to help you save some money when you buy these. 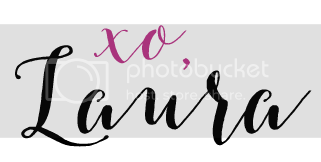 Spend $20, Get $7 in ExtraBucks. GLISS® Hair Repair™ will be on sale for 2/$10 on top of the Enterprise event making it a great deal, especially when it comes to taking care of your hair! You can find GLISS® on instagram, facebook, and youtube! You hair is so silky smooth, this may be a product I pick up on my next CVS run, sounds like a good one! Have a Marvelous Monday gorgeous! These are great tips! Thanks for sharing! I switched to less than every day washing to once every second day and it's made such a difference to my hair. And saved me time in the shower, haha! I need to get a silk pillowcase! Thanks for these tips and sharing this brand. These are excellent tips! I've heard great things about silk pillowcases and need to just buy one already. I try not to wash mine as often. These sound like great products. Hair is my nemesis, so I'm always interested in great things to help it!! I have been wanting to check out a silk pillowcase, thank you for reminding me! 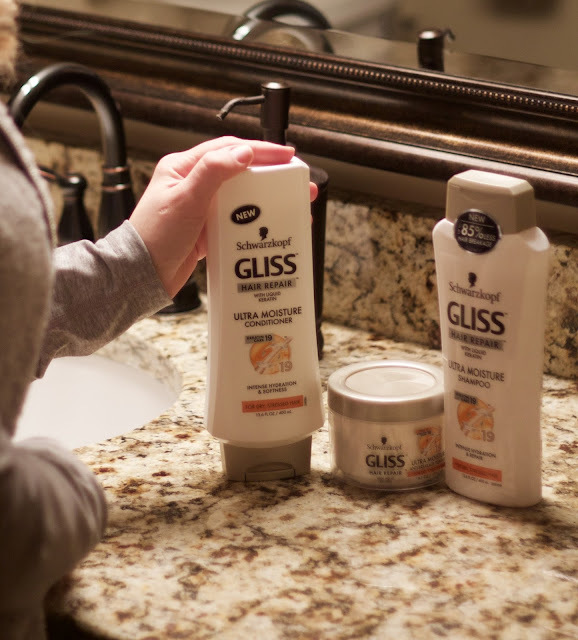 I have never tried these products, but I love checking out hair products... so, I'll be sure to check them out! I really need to stop washing my hair everyday! You have such gorgeous hair! Mine is so fine and the humidity here is awful,my hair feels dirty all the time. I really need a shampoo the deep cleans I guess. I love my silk pillowcase! I need learn to turn the water down when I wash my hair. My hair has so many slipt ends right now. I only wash my hair 3 times a week, sometimes 4 if I need to. I love all of these tips and follow a few of them! I haven't switch to a silk pillowcase yet, I may have to try that! This brand Schwa... is fabulous, I have not seen it in a while. I am going to look for it next time I travel.